Big data unorganized is just data, but organized big data is powerful! Work with IT experts who can transform your raw data into impressive charts and visual representations of what’s happening in your business. No input cell will be left behind. Please submit your information and an SMBHD representative will follow up with you as soon as possible. Whether you’re using excel spreadsheets, streaming data, data in the Cloud, or data on-premises, the SMBHD team specializes in helping organizations leverage Power BI. We can effectively organize your information, no matter where it lives, and connect these sources to create valuable insight that will help you better understand your business, trends, and problem areas, through customizable dashboards and impressive visualizations that give you the bigger picture of your organization. 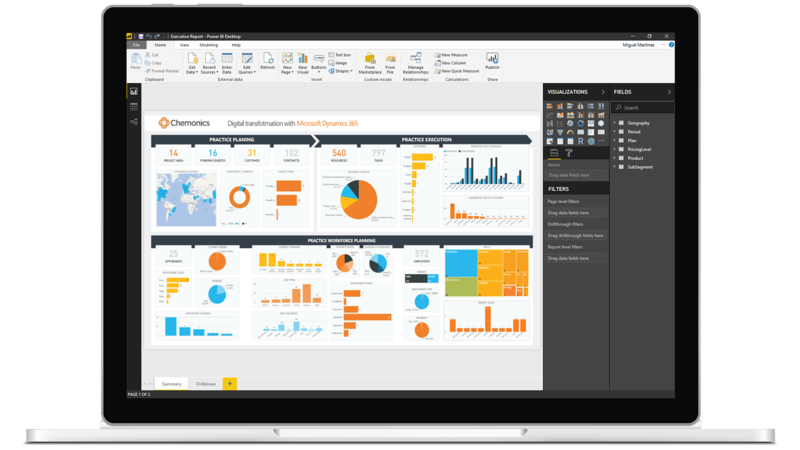 There are countless visualization options in Power BI. Transform your raw data into impressive visualizations of what is going on in your business. There are pre-packaged content packs and built-in connectors to quick import your data from a variety of sources so you can turn that raw data into stunning, interactive visualizations and reports, that tell the true story of what’s going on at your business. Discover trends and share insights throughout your organizations with ease using Power BI. If you get stuck, Ad-hoc Support is available from the SMBHD Microsoft Certified Team. 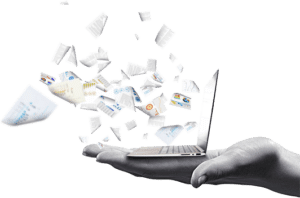 With unconsolidated data, a lot of questions and issues can arise, and rather than your end users spending hours at a time to resolve them, simply asking the experts might work better. That’s where we come in. I need Power BI Support! We offer full Office 365 licensing, implementation, and Support for your business; to increase productivity, and create a more cohesive workspace. SMBHD consultants helps clients to transition to Azure – a more efficient, Cloud-based model, to improve upon regular operational processes. Enjoy better collaboration with SharePoint. We’ll implement the solution that makes sense, and provide the expert Microsoft Support you need to be successful.